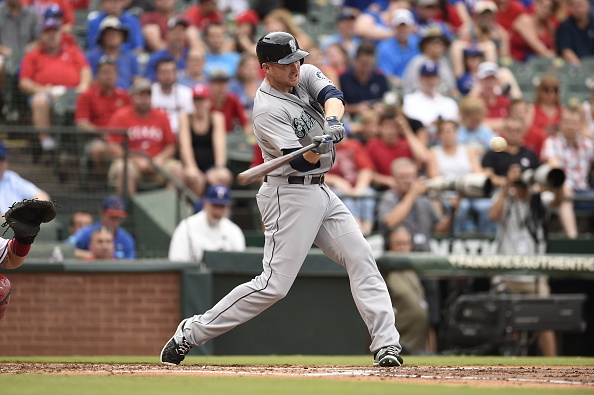 The Seattle Mariners traded OF/1B Mark Trumbo to the Baltimore Orioles for catcher Steve Clevenger, confirmed by Jon Heyman of CBS Sports. The Orioles are filling a power gap that will presumably be left in wake of the probable departure of slugger Chris Davis while the Mariners are searching for the answer behind the plate. The Orioles are preparing for the departure of slugger Chris Davis. Davis led the majors in home runs last year with 47 and was back to his 2013 form after serving a suspension for Adderall use and struggling mightily in 2014. His batting line in 2015 was .262/.361/.562, a marked improvement over his .196/.300/.404 line in 2014. Davis’ comeback came during a contract year placing himself firmly at the top of the free agent market. Trumbo is Davis lite. Trumbo played well in his first three full years with the Los Angeles Angels, hitting 29, 32 and 34 home runs from 2011-2013. Since then, however, he’s played on two different teams (Arizona and Seattle) and has struggled to stay on the field. Trumbo won’t hit for average – he hasn’t hit above .268 in his career – and strikes out a ton, but he’s a power threat every time he steps up to the plate. Clevenger has spent the last two years rotating between AAA Norfolk and Baltimore, hitting .259/.300/.380 with two home runs and 25 RBI in 205 at bats. At the very least, he’s better than what the Mariners put out last year. The Mariners also signed Chris Iannetta to a 2 year, 4.25M dollar contract with a team option in 2017. Iannetta, who is coming off a career-worst season with the Angels, is taking a chance in a pitchers park like Safeco Field.